Attorneys at the Zepeda Law Firm have one goal in mind, and that is assist in uniting families one family at a time. All attorneys at Zepeda Law Firm and the K. Alexander Law Firm have families of their own and know the importance that is the family unit. We look at each case, not as a number, but as people striving to obtain the American dream all while trying to maintain their unity. 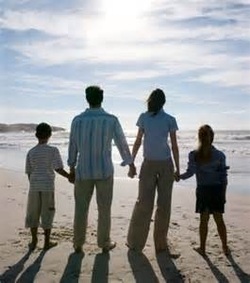 We have helped mothers, fathers, grandparents, children, siblings, and spouses stay together or come together. We stress having a professional as well as a personal relationship with each client. We do our very best to communicate with our clients, facilitate the process on their behalf, and achieve our goal of obtaining residencies on their behalf. In turn, we walk away with having met great people whom we were able to help in making their dreams come true. There is no better reward. We can help you file a petition, the first step in beginning the process towards obtaining a visa either through the District Office in the United States or the Consular Office in your home country. The following details the different categories of family members that can petition their loved ones to join them in teh United States. These categories are outlined this way by the Department of States so that families can refer to the Visa Bulletin to check whether their priority date is current. Immediate Relatives are the only group that have no wait time as their visa is immediately available. Also, each category's priority date varies depending on which country the relative beneficiary is from. Additionally, for each category, i.e. Petition for Alien Relative, you must prove that the relationship exists. Our office can help you make sure that the petition includes all necessary evidence. Call us Today at 817-917-8863. Eligible to Adjust in the U.S. If you are an IR, you must have either entered the U.S. lawfully OR have been grandfathered under 245i (meaning you had a petition filed on your behalf prior to April 30, 2001). If you are a refugee or the qualifying relative of a refugee, you must apply within one year after you enter the United States. If you fall under one of the other categories, you must been grandfathered under 245i. You must be admissible to adjust in the United States. This means that a certain ground of inadmissibility does not apply to you under Section 212 of the INA, for example, health-related, criminal, security-related, etc. There are waivers for some of these grounds of inadmissibility, but not all. Please contact us today to determine your eligibility for adjustment of status.